You may never realize how essential your hands are to your every-day lifestyle until you lose their functionality. A freak accident, an injury, a chronic illness like arthritis—it happens to too many people. One day you may realize that your hands aren’t capable of tying that knot, grasping that lever, or picking up that needle. The realization that your hands are not able to do the basic tasks that you’ve relied on them for completing over the years can be a hard one to swallow. For many people, the need for hand therapy comes after having a severe loss of motor functionality following a stroke. Speech therapy and occupational therapy are regularly utilized following a stroke to restore annunciation, stability and personal strength. Hand therapy is another important resource to explore at this time an Life In Motion Physical & Hand Therapy can help out. Hand therapy focuses on the intricacies of the muscles in the hand, and the important skills that are necessary to basic motor functions. Improving fine motor skills after having a stroke requires actually rewiring the brain through special exercises, helping you to rebuild muscle memories and restore functionality to as close to your previous levels as possible. 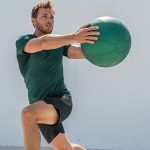 The idea behind these exercises is that they help to reprogram the muscles in the hand to make certain movements and tasks easier to complete. In order for the exercises to work they need to be repeated—and repeated often. You may be surprised by how necessary basic motor skills are to your everyday life. Simple tasks that you likely take for granted—such as wrapping presents, decorating, cooking dinner, using scissors or working on arts and crafts—all of these tasks require motor skills. Your hands need to be able to move exactly as you intend, without any delay or limitations. Working with a hand therapist can help you to reach a place where your hands are your own again, and where you are able to complete every task with the same attention to detail as you used to be able to do. For more information about the benefits of hand therapy for restoring motor skills, contact us today to schedule an initial evaluation in our Pinellas Park location and our hand therapy staff of caring professionals will return your call quickly!